The Westwood home at 2234 Greenfield Ave LA CA 90064 lasted about 9 days on the market before accepting an offer on 1/25/13. This was listed as a short sale with only 1 open Bank of America loan to deal with. Looks like it got approved very quickly as the escrow period was just under 3 months. There had been some updating to the house, but many original details remained giving it that Spanish home character. 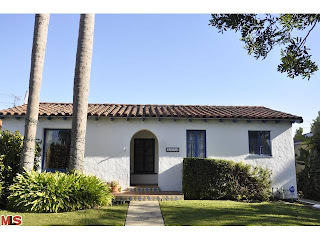 On 4/19/13, 2234 Greenfield Ave closed well over the asking price at $1,012,000 |$654 $/sf|. According to the MLS, the home is a 3 bedroom / 2.5 bath, 1,548 sq ft of living space on a 6,751 sq ft lot. What Did 10418 Tennessee Ave Sell For? What Did 10370 Mississippi Ave Sell For?